Today, many companies utilize statistical process control software to manage the quality of products they deliver. As variations can occur anytime in the manufacturing process, SPC software is used to help minimize and uncover these potential variations in the production process. Many manufacturers love this software because it helps prevent a faulty product from being sent out from the factory and into an unsuspecting consumer’s hand. 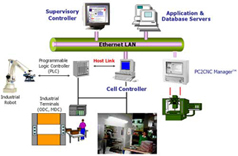 SPC software is also known to help manufacturers generate more confidence in their products and increase the efficiency of their set production processes. Willrich Precision was founded in 1971 and we have been a trusted retailer of a great array of precision measurement instruments in the gaging, inspection, and metrology industry for nearly five decades. 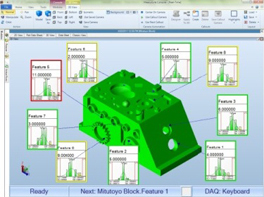 If you are looking for statistical process control software, look no further than Willrich Precision. 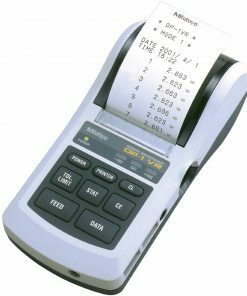 Whether you are looking for hand held digimatic SPC printers, shopfloor-online software, real-time SPC software, etc., all the products you seek can be found in our wonderful SPC range. What’s more, our customer service specialists are highly committed to helping you clinch the best deals so you can enjoy more savings down the road when you shop with us. Start browsing through our inventory and buy statistical process control software now!